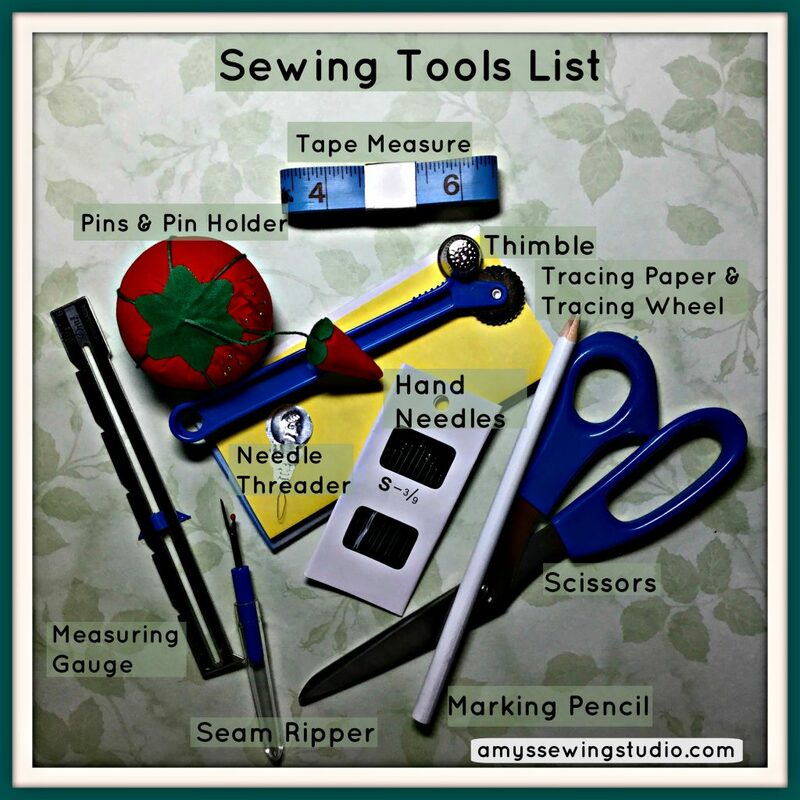 You are here: Home / Sewing Basics for Beginners / A Simple & Basic Sewing Tools List for a Successful Sewing Start! 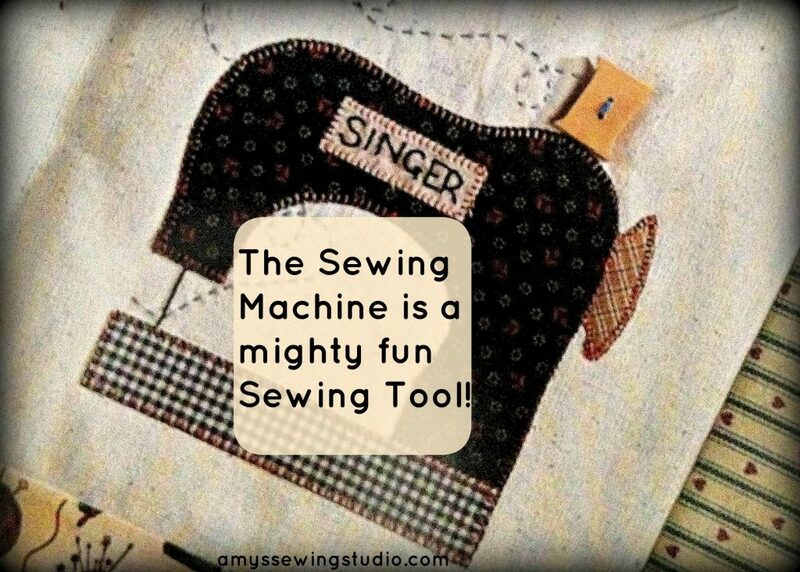 This Sewing Tools List is made to help you, the beginner seamstress, know what basic sewing tools are needed to get started in learning how to sew basic sewing projects. The picture above shows the contents of a Dritz Sewing Kit. You can also buy your sewing tools separately. I like to use the Tracing Wheel/Tracing Paper when transferring dart lines to fabric just because it is real easy to just slip the paper between the fabric and pattern and then roll away with the tracing wheel! I use the marking pencils on the smaller pattern symbols that are close to the edge of the pattern. I favor the pencils over the chalk just because I can keep a sharper marking point by sharpening the pencil. A flexible tape measure is great for measuring curved edges and long lengths. The measuring tapes I have are 60″ long. The measuring guage works great for measuring hems or when needing to mark/measure fabric edges to a certain length. This tool is sturdier than a tape measure and the plastic marker stays in one place for faster marking. The plastic clear ruler works well with the tailors pencils to draw quick, long straight lines. Also works great with the Rotary Cutter and Mat shown below. 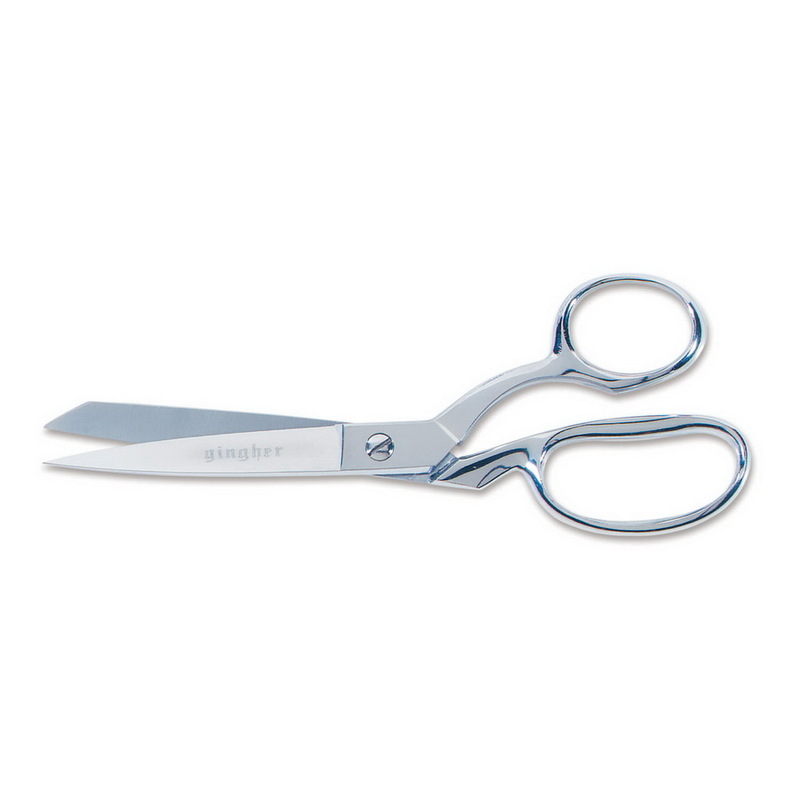 Fabric Shears/Scissors SHOULD be used for cutting fabric/pattern tissue paper ONLY. If your fabric scissors are used for anything else, your blades will become dull. 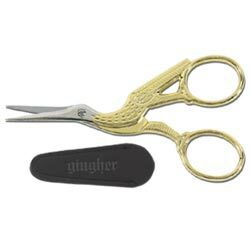 Pinking shears are for finishing seams to prevent fabric from future raveling. Small Embroidery scissors are for clipping threads. 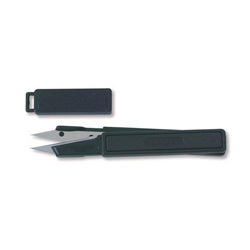 The smaller blades help to minimize the chance that blade tips will accidentally cut thru some fabric where you are snipping. Always remember to keep excess fabric out of the way while trimming threads. Seam Ripper is used to remove basting stitches, accidental stitches from fabrics, and can also work for cutting the slit open for buttonholes. Hand Needles-Some projects need basting stitches during construction, or finishing stitches. ‘Universal’ needles are great for the beginner because they will work for woven fabrics such as cotton and also knits. 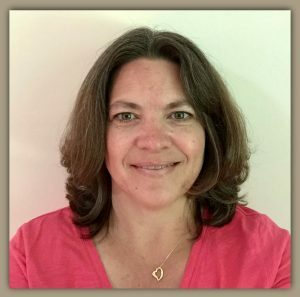 A quick lesson on hand needle sizes– needles have a numbering system from 1 to 12. The smallest number size 1 is the coarsest needle for heavy weight fabrics, size 6 works for medium weight fabrics and size 12 is for lightweight or sheer fabrics. I have several different needle sizes available in my sewing room just so I am prepared for whatever fabric I’m using. Thimble– Thimbles are used to push needles or pins thru fabric, and help protect your skin. Sometimes I’m stubborn and don’t use a thimble and will get little holes in my skin from where I pushed the needle thru the fabric! Save your fingers from ‘pin pain’ and use a thimble! I’ve only ever used the metal thimbles. I was looking online and found that there are MANY different sizes and different styles of thimbles-WOW! Iron and Ironing Board- You’ll need an iron for pressing your work as you sew. Pressing helps to set stitching and prepares seams in case you are stitching 2 or more seams together. Sewing Machine–(Not included in the Dritz Start-to-Sew-Kit) If you need to buy one, choose the best basic machine from a reliable manufacturer. Some stores have a trade-in policy that will allow you to upgrade in the future, just ask before you buy a machine. That may change your mind as to what kind of machine you’d like to get. Just a few of the many reliable brand name Sewing Machines are: Brother, Singer, Baby Lock, and Elna. I have an Elna that is now 21 years old and is still reliable with regular tune-ups. Baby Lock Tempo is my newest machine, which is an upgrade from the basic models and very nice! When looking to purchase a machine, I suggest that you actually test the machine, in a store, to make sure the machine feels comfortable to use. Then you can purchase the machine in the store OR go online to find a good price. Check out Sewing Machines here and get 5% off your order! The advantage of buying a machine in a store is that you may get free classes for learning how to use your machine. 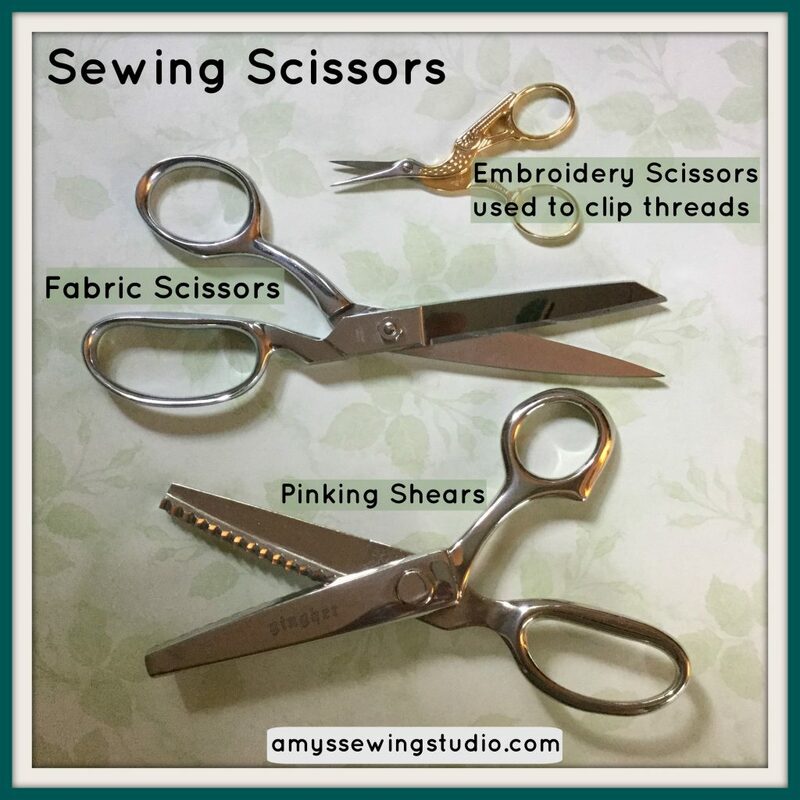 When I started sewing many years ago, you only cut fabric with sewing scissors. Then the Rotary Cutter came in the picture-oh so nice! Make sure to use a rotary mat with your rotary cutter to protect furniture surfaces. (There are different size Rotary cutters. 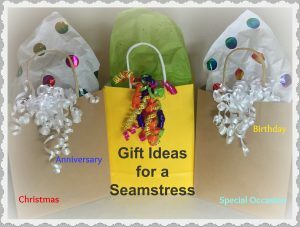 A larger cutter is great for straight lines and large curved lines and a small cutter is great for cutting small curves) I use both scissors and the rotary cutter, no rules as to when I use what tool, I do use scissors when I need more control and precision. 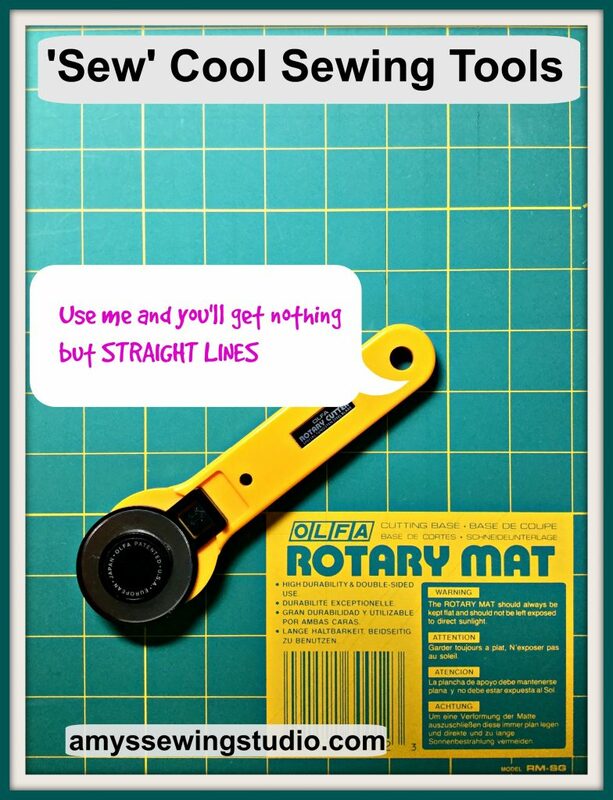 A Rotary Cutter and Mat Set is a nice ‘EXTRA’ to have in your sewing tools, along with a clear plastic ruler for cutting straight edges with the rotary cutter. 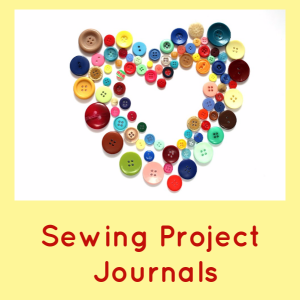 Learning How to Sew: Projects for Beginners to get you started on your Sewing Adventure!